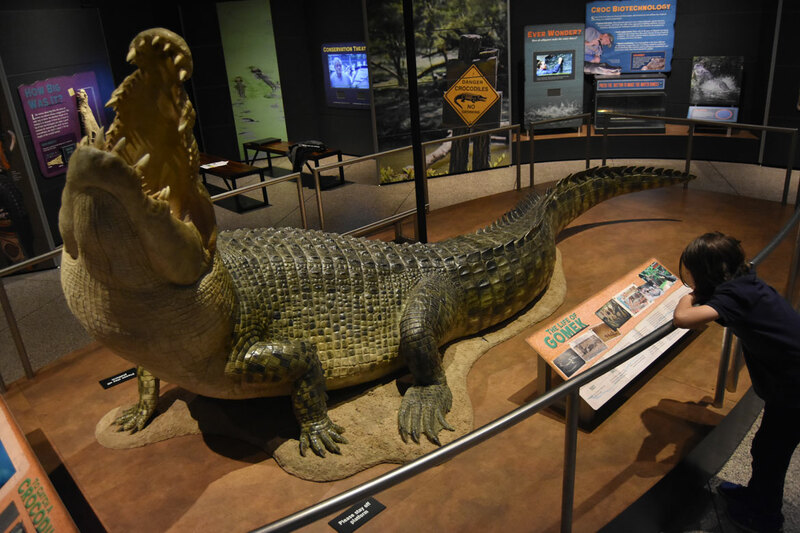 Crocodiles, alligators and other crocodilians have flourished for more than 200 million years and now they’ve come to Boston’s Museum of Science in the exhibit “Crocs: Ancient Predators in a Modern World” on view from May 20 to Sept. 3. The show, organized by Clyde Peeling’s Reptiland in Pennsylvania, offers 11 live critters as well as lots of interesting information about these creatures. 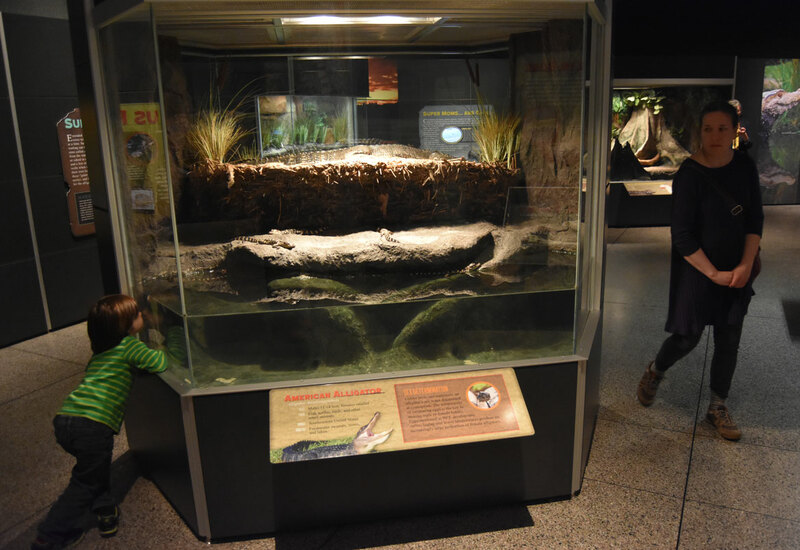 Geordi Hall, the exhibit’s on-site zookeeper, kindly shared fun facts and answered our questions about whether crocodiles make good pets, what the crocodilians will eat during the exhibition, how much they poop, and the truth about crocodile tears. 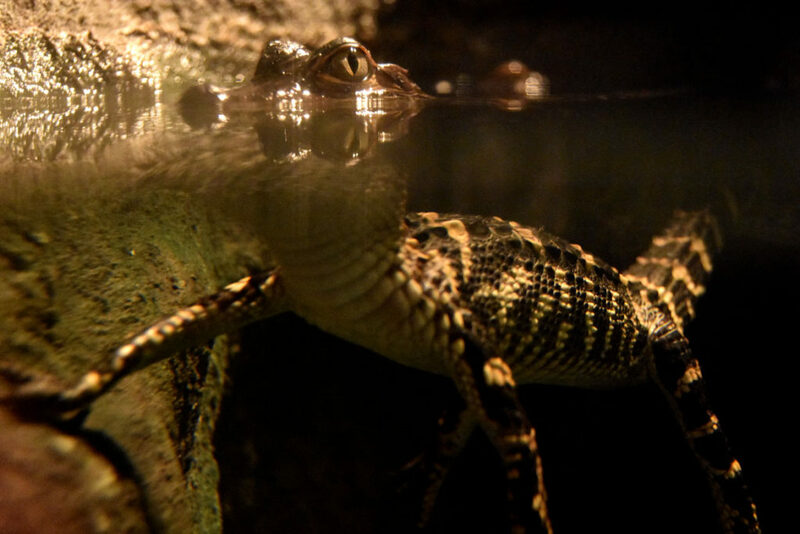 Would a crocodile be a fun addition to one’s swimming pool? 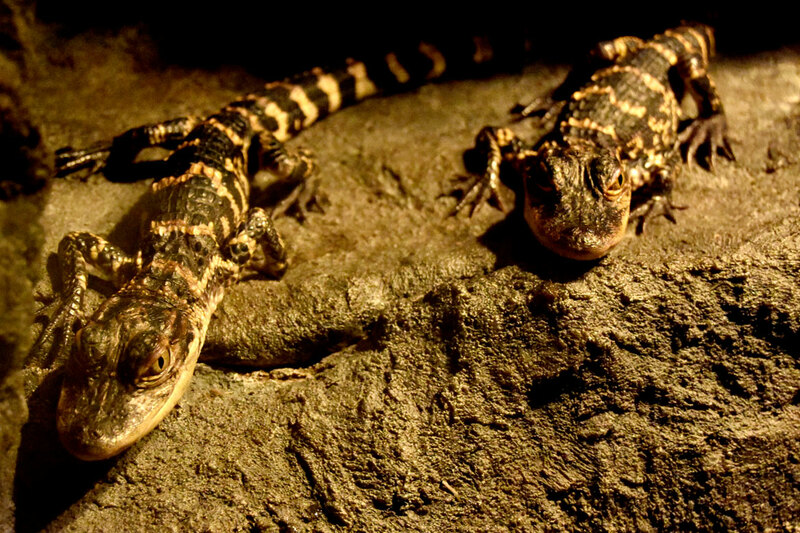 Do crocodiles make good pets? What do they eat while at the museum? “Thawed-out rodents,” Hall says. “Since they’re reptiles they don’t need to eat every day.” Only need fed two times a week because of their slower metabolisms. The African dwarf crocodile, which grows to 3- to 4-feet-long, gets fed “small rats.” Others are fed mice. 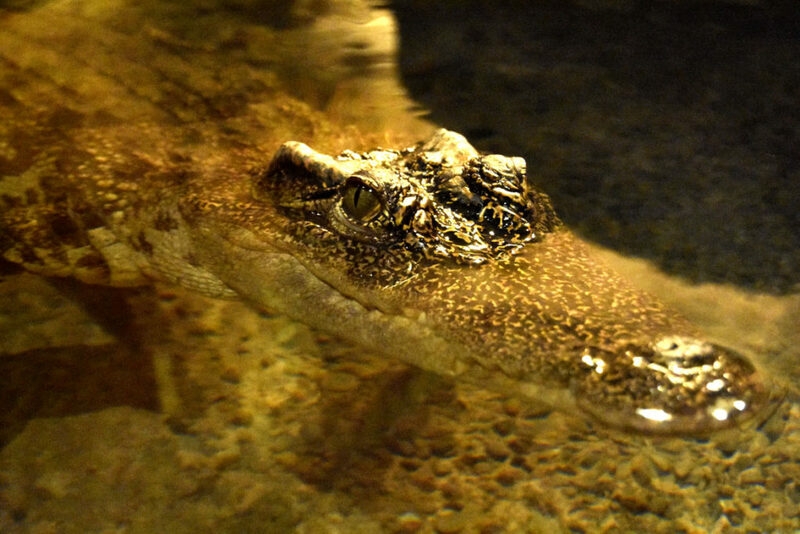 Do all crocodilians only eat meat? How big is crocodile poop? Do crocodiles have a second eyelid? Crocodilians “have a second eyelid that they will close up,” Hall says. 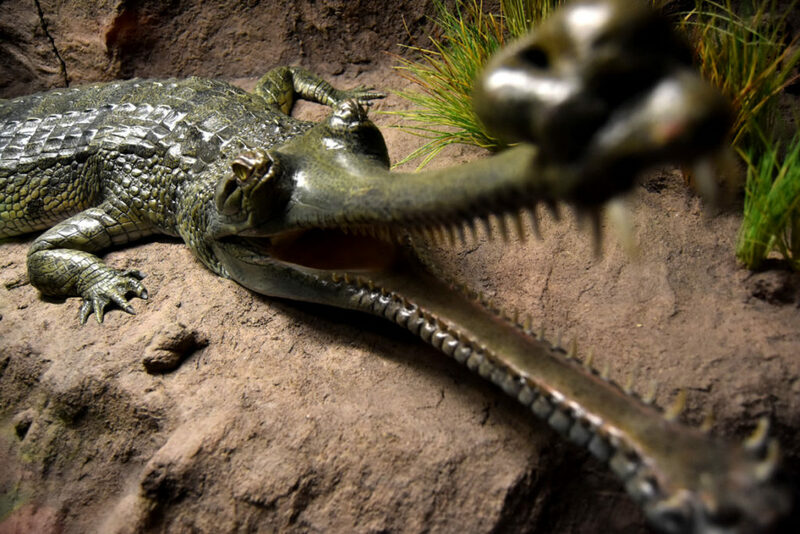 “They’re natural swim goggles that cover the eyes so they can swim around and not get water in their eyes.” They’ve also got flaps in their nostrils that they can close to keep water out. Are crocodile tears a real thing?